Even though they look to me like all-terrains from the side, these Michelin Pilot Sport AS 3 + tires seem to grip so well and are fairly quiet, so I am liking how the first 18 hours have been. Took a tight corner that I drove all the time nice and fast, and they gripped much better than the old tires. Of course . . . The old Bridgestone Potenza RE97AS tires were quite worn when they finally came off, so it may not be a fair comparison. Still, the Michelins are grippier than I remember the Bridgestones being when new. The Tail of the Dragon will be a good comparison in 2 weeks, since I last spent a weekend there when the car (and tires) was only a couple of months old. In mounting the tires, found that one of my wheels is no longer perfectly round on the backside. But I’m not noticing a vibration and the old tire wore evenly, so I’m not going to fix it right now. 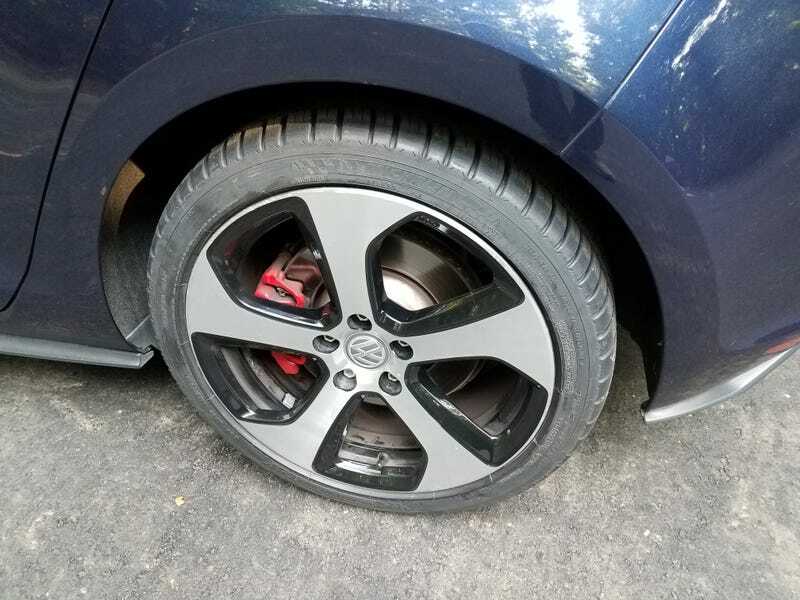 Also, my friend who was mounting them opined that he would have gotten Bridgestone Potenza RE90AS, but that was based primarily on the Michelin tires drying out quickly. I pointed out that I would likely use them up in a bit over 2 years, and he acknowledged that this wouldn’t be a problem for me.